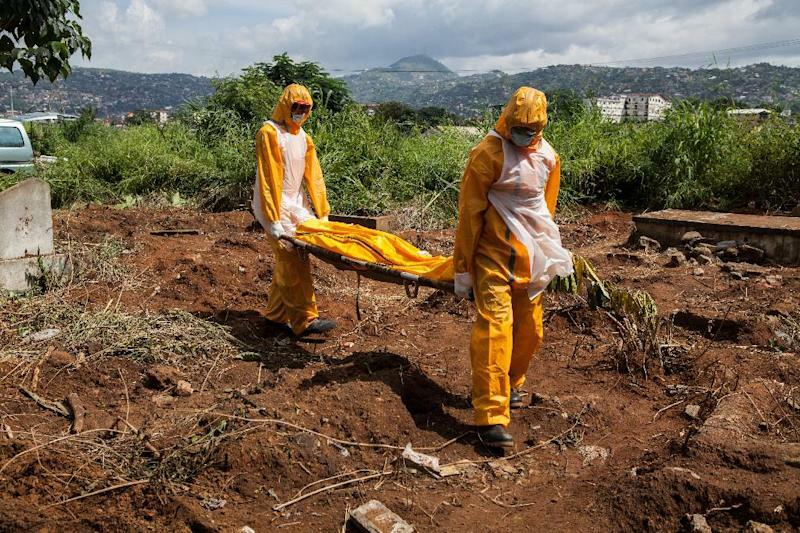 Barcelona (AFP) - Ebola has wiped out whole villages in Sierra Leone and may have caused many more deaths than the nearly 5,000 official global toll, a senior coordinator of the medical aid group MSF said Friday. Rony Zachariah of Doctors Without Borders, known by its French initials MSF, said after visiting Sierra Leone that the Ebola figures were "under-reported", in an interview with AFP on the sidelines of a medical conference in Barcelona. "The situation is catastrophic. There are several villages and communities that have been basically wiped out. In one of the villages I went to, there were 40 inhabitants and 39 died," he said. The World Health Organization (WHO) published revised figures on Friday showing 4,951 people have died of Ebola and there was a total of 13,567 reported cases. "The WHO says there is a correction factor of 2.5, so maybe it is 2.5 times higher and maybe that is not far from the truth. It could be 10,000, 15,000 or 20,000," said Zachariah. He stressed that "whole communities have disappeared but many of them are not in the statistics. The situation on the ground is actually much worse." He added that in some places the local healthcare systems were overwhelmed. "You have one nurse for 10,000 people and then you lose 10, 11, 12 nurses. How is the health system going to work?" After isolated cases in Europe, "we might get a vaccine and a treatment... but even now we need to go much faster because the clock is ticking," he said. "We want action now."